Confession: I sorta have a lil’ to-do list fetish. There’s something about the instant gratification of checking off or, even better, drawing a thick line through a TO-DO…especially if the crossed-off list is super long. One day, while indulging my inner overachiever, my husband Luca said, “Imagine putting all your ambitious plans–all those long lists–into a grid.” This part was easy for me, because that’s how I plan long-term. Spread the list out. You don’t have to do it all at once. And, realistically, you can’t. So… my daily list is now limited to 1-3 things that give me a sense of accomplishment, rather than loads of ‘wish-I-could’ tasks that make me feel overwhelmed. 1. Fulfillment – By dedicating my time only to what I know I can get done that day, I feel less flustered and more productive. 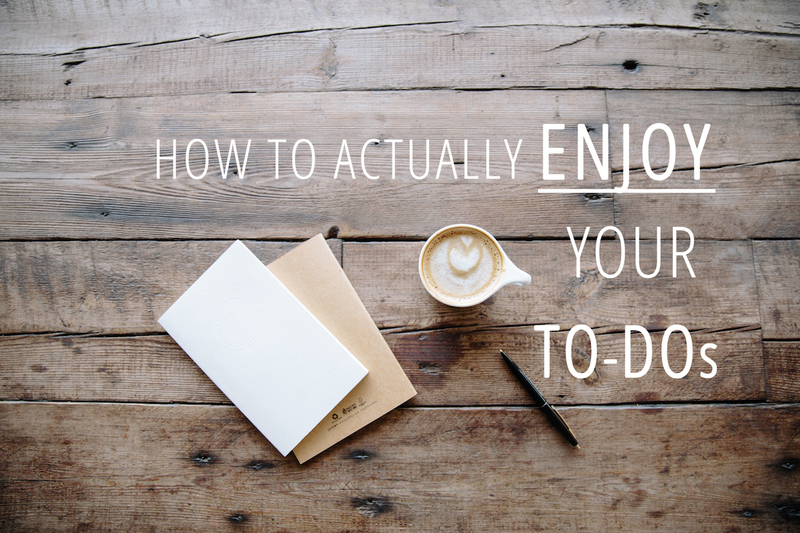 When I’ve completed my mini list, I am able to call it a day without feeling guilty. Or I can confidently move on to other projects, if I’m up for it. 2. Presence – I am able to be fully present with the tasks I’ve set for myself, to really FOCUS. This applies also to my time with others. I used to be on strategy calls with clients and thinking about all the other things I needed to be doing. Sound familiar? By being more strategic about my daily list, I now have the peace of mind to fully connect with others. 3. Flow – No matter what else crops up during the day (inspiration or disturbance), I can flow through it with ease, knowing that my TO-DOs are doable . . . or done! Now that’s a good TO-BE list : FULFILLED, PRESENT, FLOWING! PS– If you’re looking for a way to quickly and easily organize your long-term plans, check out this FREE LONG-TERM PLANNING PDF. How it works: Use the ‘Theme’ space under each month to write 1 word that describes how you’d like to feel. Then, in the ‘Intention’ box list 1-3 things you’d like to accomplish that month. Happy Planning!